iboss provides Cybersecurity software that defends networks against advanced threats and data exfiltration, it offers a balanced approach with equal emphasis on prevention, detection and containment to reduce loss from data breaches. "Blocks everything you need and then some!" It captures and blocks everything that is needed and then some. Nothing gets through and if a website you need to access is being blocked, there is a simple form to fill out and it gets approved by the moderators as soon as they review it. The fact that it blocks anything and everything is slightly annoying. You could be on a website such as PBS and it will block it if there is a forum/comments area. Note* this may be an administration/moderator issue and not the application, if this is the case then iboss is awesome at doing its job! Get it, it does its job well and with little to no issues! The problem of children accidentally or even purposefully accessing websites they shouldn't be on during school time such as social media or any inappropriate sites. "Best web filter solution for schools"
I like the flexibility and robustness of the product. Support is very helpful and responseful in a short time. Also, we like how it provides onsite and offsite webfilter 24/7 on student devices. Price is little high for kind of small institutions. We went with on premise servers options which caused high price as well. If you can afford it go for it. We use iboss to apply customized web filter for our Staff, Student and Guest users. 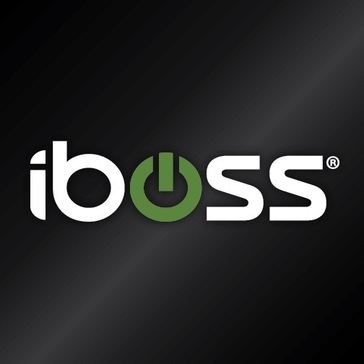 "We have used iboss for over 5 years and I have been very pleased"
iBoss is easy to use once you complete the training and their support staff is dedicated and committed to helping their customers resolve issues. We are a school district and web security is extremely important to us and I trust iBoss to keep my network secure. IBoss can be difficult to manage WITHOUT training, once you have trained on their system it is easy. Make sure that you take advantage of their support team. They will spend time with you to ensure that you understand how to navigate their web filter. I would recommend this product for web-filtering. Make sure that you receive training and you will really find iBoss to be a useful tool. My IBoss web filter ensures that we state compliant and children are safely surfing the web. We just upgraded to the NBC. So I like the rolling upgrade option. Our migration process from the swg to the NBC was painstaking. Not all cases where like this. There is an automated sync. It just did not work for our case. This filters the students web content. * We monitor all iboss reviews to prevent fraudulent reviews and keep review quality high. We do not post reviews by company employees or direct competitors. Validated reviews require the user to submit a screenshot of the product containing their user ID, in order to verify a user is an actual user of the product. Hi there! Are you looking to implement a solution like iboss?